Make table magnificence and dining experience unforgettable with Jute Table Mats. With these mats, the outlook of a table can be easily turned manifold. Designed from a natural fiber, Jute, these mats are loaded with end to end features. They are regarded as the amazing accessory to enhance the lifespan and quality of tables. 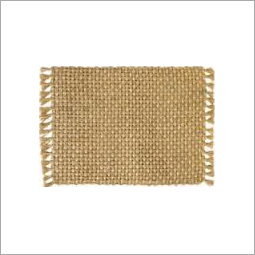 Jute table mats are capable enough to absorb spillages and moisture pouring down any utensil. They are highly durable that ensures their log lasting life. The strength of Jute adds high wear and tear resistant property to the table mats. Jute table mats are easy to clean and maintain, hence users do not have to worry about their care. They can be easily cleaned with a damp cloth on regular basis before or after use. They have become the first and foremost choice of hotels and restaurants as they make furniture attractive that entice more and more people. These protective coverings keep the tables stain free all the time to add life to them. These jute table mats are ideal to keep the table as well as house clean that exemplify manners and discipline. With majestic looks, designs and colors, jute table mats provide the user with an amazing dining feeling. A user can easily avail them in different sizes, dimensions and colors to match his or her dÃ©cor of the home, office, etc. A user can also go for custom made options as per the requirements. Jute table mats are also widely used as promotional items that can include personal design, varied prints, name of the company, dates of an event, logo or a quote. Besides this, they have been also proved as attractive and high utility gifts that flaunt fashion statement. Users can also have them with various embellishments like beads, crochet work, stones, lace work, patchwork, fine embroidery and so on to add glamor to the dine.